Commented on the discussion So what AREN'T you drinking now? 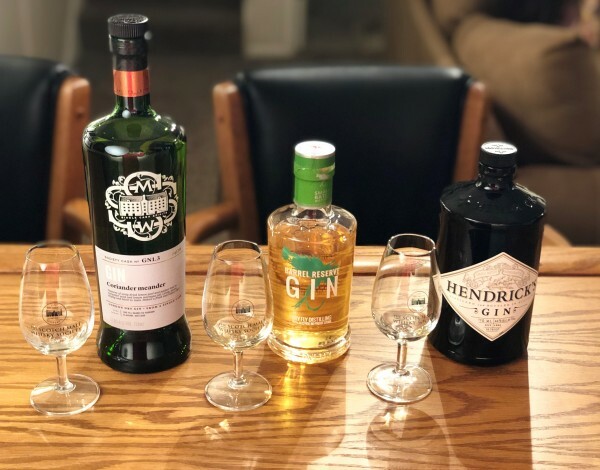 "@paddockjudge , historically, "bottom shelf" literally meant located on the bottom…"
"@paddockjudge I have sent about 20 emails to Suntory over the years, begging for…"
Liked @paddockjudge's comment on the discussion So what AREN'T you drinking now? "@OdysseusUnbound, here are my two favourite "bottom-shelf Alberta Premium, bottled…"
Liked @bwmccoy's comment on the discussion So, what are you drinking now? "@OdysseusUnbound, thanks for the heads-up, it's encouraging to know Alberta Dist…"
Commented on the discussion So, what are you drinking now? "@fiddich1980 - Thank you. After having been to the Outer Hebrides (specifically…"
Liked @fiddich1980's comment on the discussion So, what are you drinking now? "@bwmccoy Nice review. The SMWS GN 1.3 sounds like a great sipper. 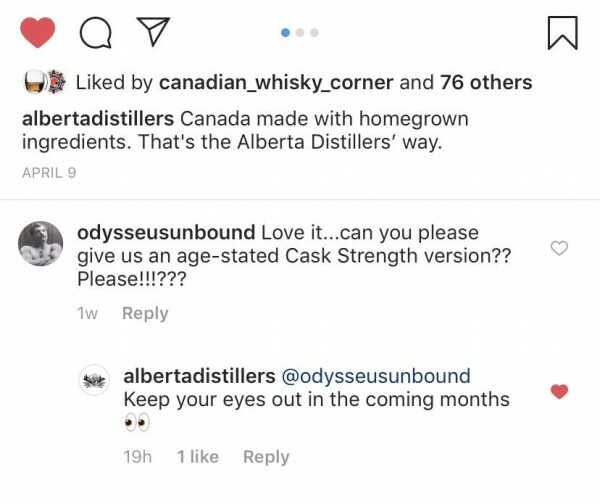 Your impressions…"
"Not whisky, but some of you know that I recently ordered a bottle of barrel aged…"
"@OdysseusUnbound, Alberta Premium is by NO MEANS a bottom-shelf sipper. That is…"
"@casualtorture, I too prefer the standard Maker's Mark to Weller Special Reserve…"
Liked @OdysseusUnbound's comment on the discussion So, what are you drinking now? Liked @archivist's comment on the discussion So, what are you drinking now? Liked @cricklewood's comment on the discussion So, what are you drinking now? Liked @Victor's comment on the discussion So, what are you drinking now? Liked @casualtorture's comment on the discussion So, what are you drinking now? "@cricklewood Thank you, I will certainly add Tyrconnell 16 to my list. I don't see…"
"@casualtorture by all means try Maker's Mark Cask Strength. I recommend a sample…"
Liked @cricklewood's comment on the discussion So what AREN'T you drinking now? Liked @OdysseusUnbound's comment on the discussion So what AREN'T you drinking now? "I like this better than WSR. I think I gave it an 81, I have yet to try the 46 or…"
"@OdysseusUnbound oh there is high proof ADL Rye (distillate). It's called Whistl…"
Liked @Astroke's comment on the discussion So what AREN'T you drinking now? "@OdysseusUnbound the retro bottled AP rye is a surprising little sipper. I sus…"
"@OdysseusUnbound Well, if they give us this at half the cost, then I am in. …"
"@cricklewood It really says something when a whiskey can be bottled and released…"
Liked @paddockjudge's comment on the discussion So, what are you drinking now? "@cricklewood I’d really love to see an ADL rye at a higher Proof. The bottom-shelf…"
"@casualtorture yes the light smoke in the Hakushu 12 really binds it all together…"
"@OdysseusUnbound about a year or two back, I heard solid talks of the release of…"
"@paddockjudge nice hat! I think with the change of mayor the talk of the Expos…"
"@cricklewood I even have several very tall pine trees to look at from my deck while…"
"@archivist you'll have fun exploring Irish whisky, it can be maddening at times due…"
Liked @BlueNote's comment on the review Yup, it’s Talisker! "@paddockjudge I don’t know about Super-Premium-Elite, but I’ve been in touch with…"
"@RikS "yes' to the observation that cask strength/higher ABV concentrates the…"
Liked @Nozinan's comment on the discussion So what AREN'T you drinking now? Liked @RikS's comment on the discussion So what AREN'T you drinking now? Liked @RianC's comment on the discussion So what AREN'T you drinking now? "@cricklewood I do enjoy Hakushu 12. Just a slight bit of smoke and grassy/floral…"
"@BlueNote yeah I got it in China for USD29 and the 57N for USD50. Here in the…"
"@RianC One of the annoying mysteries of whisky... ...and to fuel your annoyance…"
"@Victor I love Hakushu 12, it doesn't get the hype of Yamazaki but I am a sucker…"
Liked @RianC's comment on the discussion So, what are you drinking now? Liked @Victor's comment on the discussion Which bottle did you just buy and why?
" . . . this, sadly! https://www.masterofmalt.com/whiskies/laphroaig/laphroaig-10…"
Liked @Wierdo's comment on the discussion Which bottle did you just buy and why?